– Registry Tuner: A safe, effective, and highly advanced problem solver and error repair tool, Registry Tuner can diagnose and resolve many common root causes of mysterious freezes, slowdowns, and crashes. – Startup Optimizer: Automatically eliminates startup bottlenecks that can choke the life out of a PC and make Windows take ages to start. Supercharges boot-times and frees up resources for improved overall performance. – Memory Mechanic: Reclaims system RAM orphaned by memory leaks and sloppy programs for improved system responsiveness. 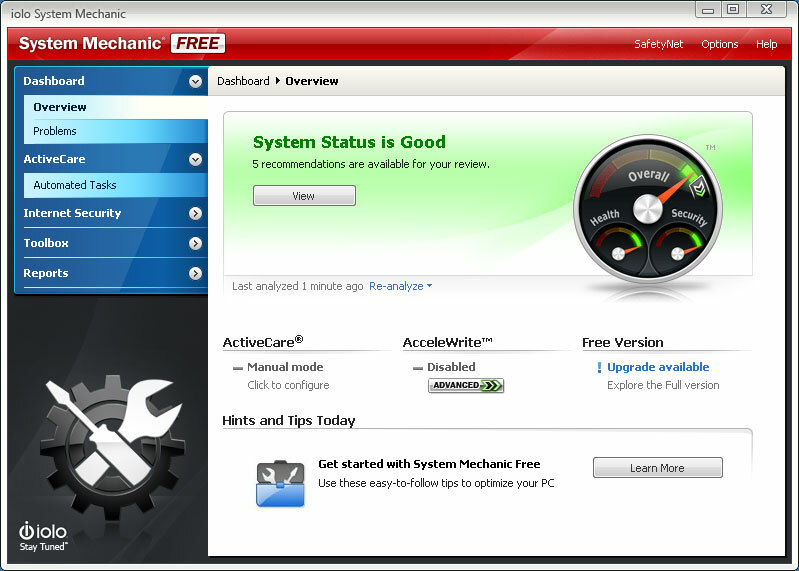 Optimizes and defragments memory for snappier programs, downloads, and gaming experience. – PC Cleanup: Performs a system-wide scan for junk and obsolete files left over from messy apps and unexpected restarts. Safely cleans out hazardous system-clogging clutter that accumulates over time through everyday use. – Drive Accelerator: Performs advanced hard drive defragmentation for accelerated Windows load times, program startup, and overall system speed. – Shortcut Repair: Finds and automatically fixes broken or corrupted Windows shortcut icons that can represent the root of frustrating problems on an otherwise stable PC. – Internet Connection Repair: Automatically heals broken and chronically unstable internet connections to get you back online and keep you connected when you most need to be.